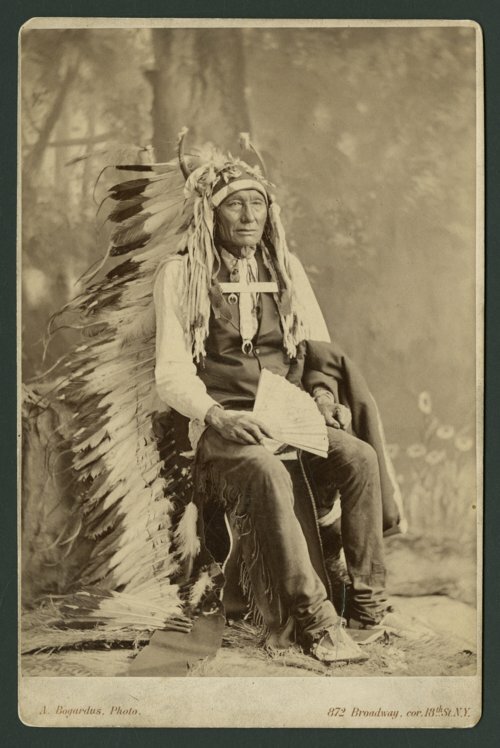 This is a photograph of Little Chief, a Northern Cheyenne Indian. He is posed in traditional dress holding a fan in an indoor setting. Funds for digitization provided by Mr. Steve Peckel in memory of William Chalfant.